[Bozeman, Montana, USA] – Julian and Nicholas MacKay of Bozeman didn’t become accomplished ballet dancers by lounging around on a couch. Their work demands artistic interpretation, athletic prowess and continuous workouts and stretching to stem injuries. They push their bodies and limbs beyond the limits of comfort. 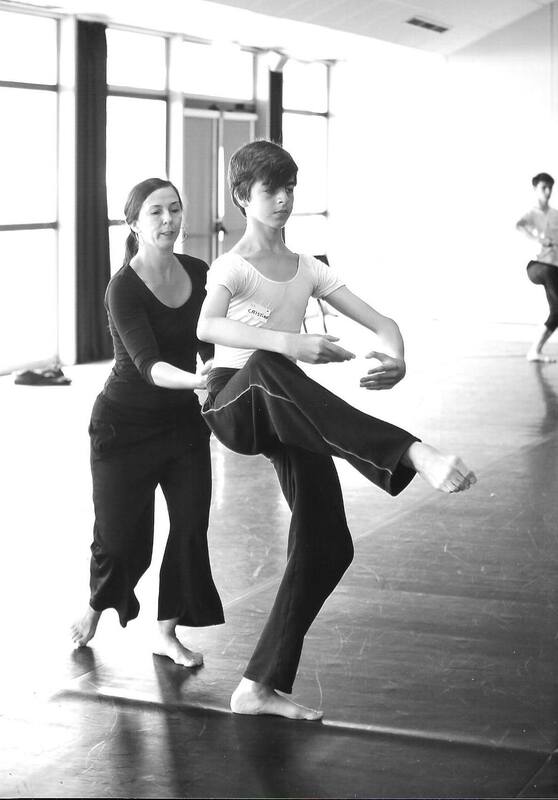 Younger brother Nicholas, 14, has joined the Vaganova Academy ballet school in St. Petersburg, Russia. Dancing isn’t tough only on the toes, Nicholas pointed out. “Not just the feet, the whole body,” he said. “I have quite strong feet.” Yet it’s not a pain-free experience; feet get strained, and limbs ache. “You definitely have to love it,” Nicholas said. Nicholas and Julian, sons of Gregory and Teresa Khan MacKay of Bozeman, were pioneers as American male ballet students at the Bolshoi Academy in Moscow. Julian was the first American to attend the school to receive a full diploma, taking the same classes the Russian students did. Julian graduated in the spring. “It’s quite a ride so far,” Julian said. 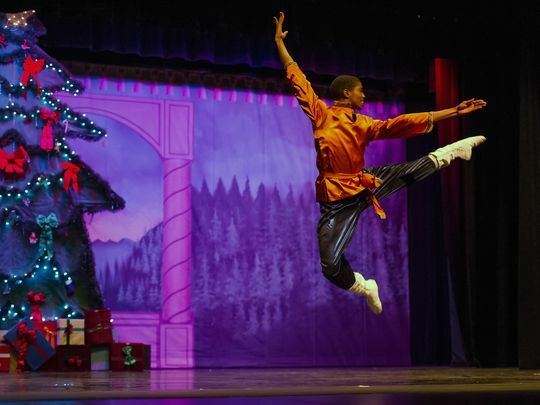 They’ve been assisted by generous sponsors from Big Sky, native Montanans Loren and Jill Bough, who have enabled the boys to pursue a dream of ballet stardom. Nicholas said a fine Russian teacher suggested he try out for the academy in St. Petersburg; Nicholas was chosen after a highly competitive audition. 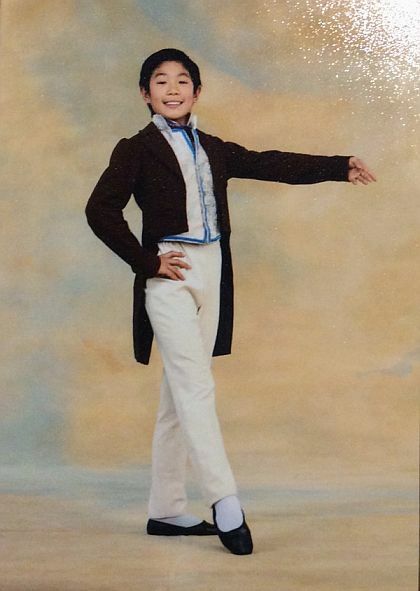 Julian won a chance to perform with the ballet company in London by winning a competition in Switzerland, the Prix de Lausanne. Julian is excited he will have a part as a Montague in “Romeo and Juliet,” as he will be able to swing a sword around. He took fencing when he was younger. Although the swords have blunt tips, they are heavy, so it pays to learn one’s moves to avoid an accident. A dancer wouldn’t get cut, but he could be pretty severely bruised by an errant sword. He misses his mom and younger brother, who were all together in Moscow until the boys graduated. Both have had instances of deja vu in their new adventures in St. Petersburg and London. All four children in the family have chosen to become classical dancers; stepsisters Maria Sascha Khan dances with the Ekaterinburg State Ballet and Nadia Khan dances in Madrid with the Compania Nacional de Danza. Theresa is happy with all the children’s dancing successes, but she especially admires their growth as people living in exotic climes. “They seem to be able to speak to anyone,” she said admiringly. The boys have picked up many foreign languages, including difficult ones such as Russian. In London, dance veteran Julian said he’s comfortable performing before crowds in gilded halls from China to Switzerland to England. “It doesn’t really matter who’s sitting there (in the audience),” said a confident Julian. He paused, though, when asked if it would make a difference if Queen Elizabeth II of England were in the audience in London. “I think I’d be a little bit nervous,” Julian said with a chuckle. [Aberdeen, Scotland, UK] – At the young age of just 16, Harris Beattie has already made quite a name for himself. 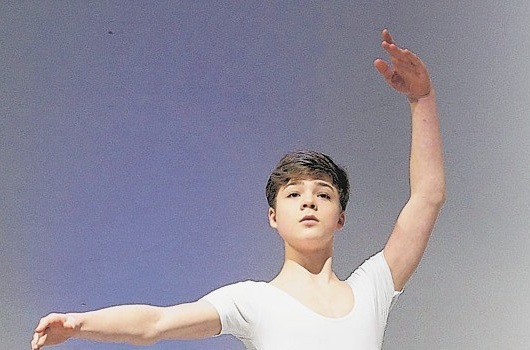 He became a rising star in his home city of Aberdeen – and much further afield as well – after taking on the starring role in Billy Elliot – The Musical and earlier this year he was named joint winner of the Royal Academy of Dance (Rad) 2015 Phyllis Bedells bursary – having triumphed over dancers from around the world. 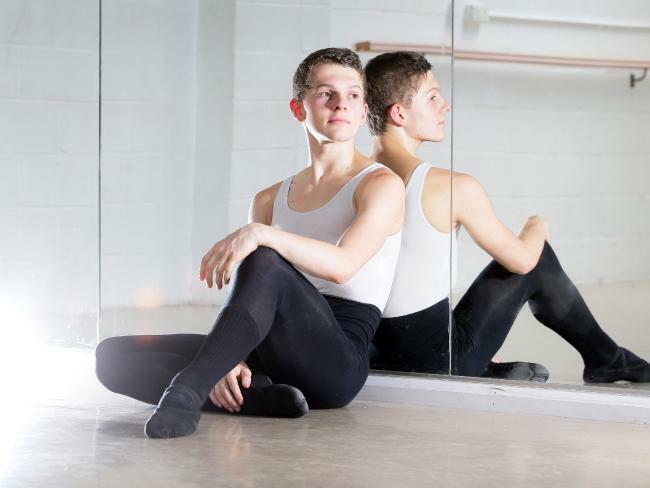 Former Cults Academy pupil Harris, who trains at Danscentre in Aberdeen, is now gearing up for another prestigious event, the Genee International Ballet Competition which will be held next month [September 2015] in London. We caught up with Harris to speak about his career so far and what the future holds for him. SO HOW LONG HAVE YOU BEEN DANCING FOR? Since I was eight I think. Now I do ballet, contemporary, jazz and tap but I’m focusing more on contemporary and ballet at the moment because that is what I want to go onto do. My brother Alistair went to ballet classes so I think I just got a bit jealous and wanted to do it because he was doing it. Alistair is 19 now and he’s over in Bucharest with the National Romanian Ballet. When I first started ballet my classes were in Carnoustie, they were every weekend on a Saturday. I moved to Aberdeen and now I take all my classes at Danscentre on Hutcheon Street. I wasn’t too sure of it at first, I think I just grew to like it. When I was young, I liked it but I didn’t think of it as a career. But over the years I got more and more serious about it as I got older. WHAT DID YOU ENJOY ABOUT BALLET WHEN YOU FIRST STARTED? I think I just liked the overall thing really. DID YOU AND YOUR BROTHER PRACTICE TOGETHER? Not really, I think he was a bit annoyed that I was doing it too. I have three brothers and one sister. We’re the only ones that do dancing though. I remember doing one show where we just did the one dance and I was with my brother on stage. It was some sort of pirate dance. WHAT ARE YOU LIKE BEFORE A SHOW? I get a bit nervous but I’m excited more than anything. I just try and concentrate on pushing myself and doing better. YOU APPEARED IN BILLY ELLIOT – THE MUSICAL. WHAT WAS THAT LIKE? I was there for two years training and doing the show. That was back in 2011 to 2013. I was in London for quite a while doing the show and training. We would go into training for about six months, we had class every day to basically build up stamina for the show and then after you did the show, after the first night, you just maintained that and having classes regularly. It was a really good experience. It made me realise that I don’t want to do musical theatre, I want to go down the dancing route rather than acting. 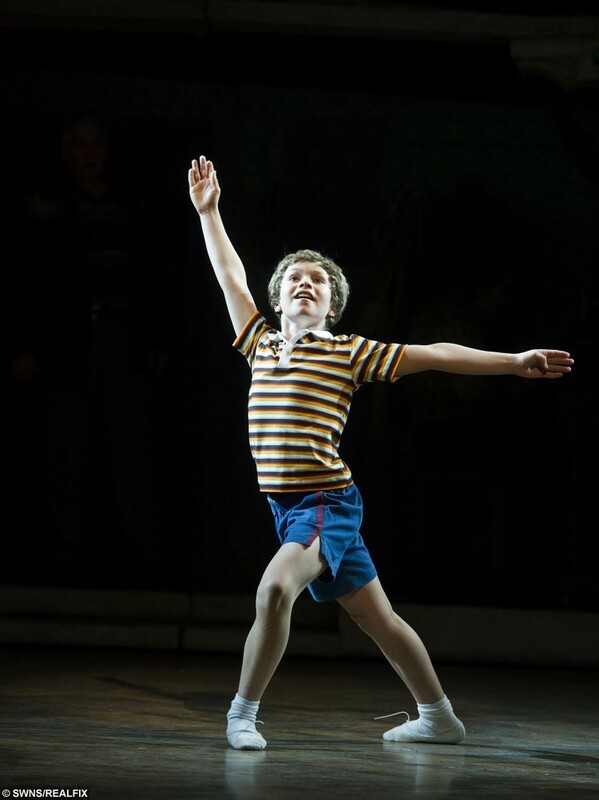 HOW MUCH ACTING DID YOU HAVE TO DO FOR BILLY ELLIOT? You are telling a story and you have to keep an element of what you are doing it for in your face and acting it out a bit. But you are really telling the story through dance. DID YOU ENJOY ACTING AND DANCING? It was quite good not to be yourself. You could just be someone else for a night and do a role that you liked and dance on stage. Yeah I really liked it. HOW DID YOU HEAR ABOUT THE GENÉE INTERNATIONAL BALLET COMPETITION? WHY DID YOU WANT TO ENTER? You can enter it yourself but you have to pass the exam first and get distinction in it to qualify for the competition. My teacher Karen Berry put me forward for it. For the competition you have to learn a classical 19th century ballet piece. They are quite well known so you can access the dance easily and you just have to learn that and also choreograph your own variation. I’ve started my classical variation but I haven’t started my own one yet. I’m looking forward to choreographing. I think it is good to show you can do something different and varied from the classical piece. It’s good to show diversity of how you can dance. It’s a great opportunity. WHAT ARE YOUR PLANS FOR THE FUTURE? 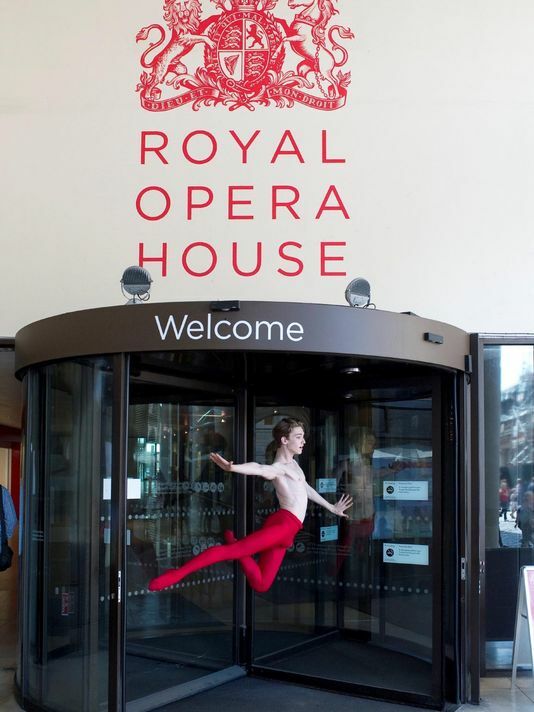 IS BALLET GOING TO BE A CAREER FOR YOU? Yes definitely. I’m heading down to London in September  to the Rambert School of Ballet and Contemporary Dance, so I’ll be studying for three years and then hopefully after that I will join a company either UK or abroad. I think the more experience you can get travelling around the world adds to your knowledge of ballet. © 2015 DC Thomson & Co, Ltd.
[Greenock, Scotland, UK] – Greenock’s very own Billy Elliot is a step closer to realising his dance dream. 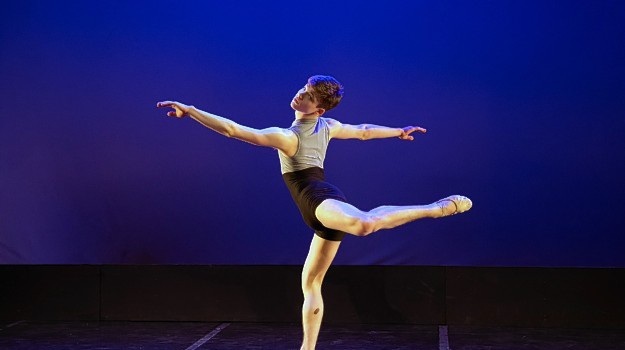 Gifted Jack Burns is delighted after he won a place at Scottish Ballet’s prestigious junior associates school in Glasgow. 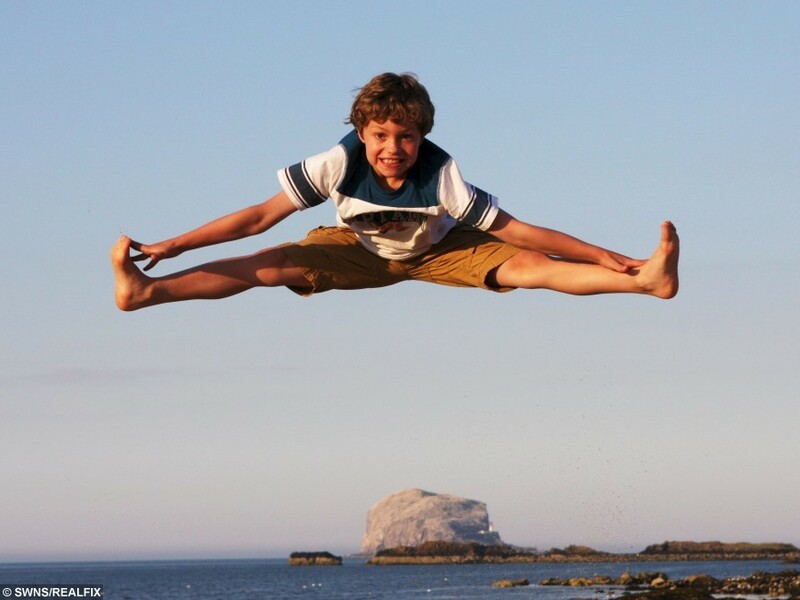 The nine-year-old, who lives on the Esplanade with parents Karen and Robert and little brother Rory, only joined the Elite Academy of Dance in Greenock in August, but seems set for big things. 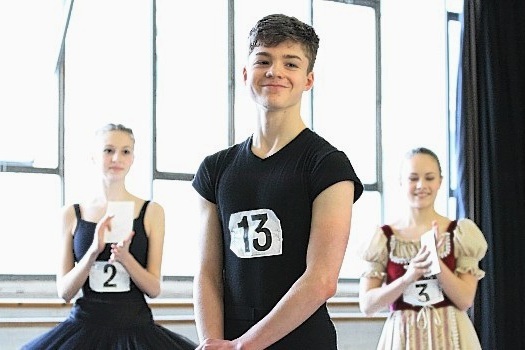 Jack also won through to the final 10 in auditions for the musical Billy Elliot in Newcastle and has been told to re-apply in February, once he honed his ballet skills. The talented all-rounder juggles ballet classes with gymnastics, drama and football, as well as modelling. Karen, 42, a bank nurse, said: “It’s absolutely fantastic and I’m over the moon for him. “He’s been doing gymnastics for 18 months at the City of Glasgow Gymnastics Club at Bellahouston and did an audition for Billy Elliott and was told when he gets more ballet experience to go back next year. “He’s really got into ballet — he’s loving it.” Jack’s ballet teacher, Julie Gunn, said: “Jack’s got a lot of potential — and his gymnastics helps the ballet.” The youngster and his wee brother Rory, who’s seven, both attend St Columba’s School in Kilmacolm. Both of them study drama at UK Theatre School in Glasgow and are also on the books of a Glasgow model agency. Rory is also no stranger to his own spot in the limelight too. He landed a role in the hit time-travel series Outlander last year.